Spring is here, and Easter is almost up on us — I can’t really think of better reason to buy a bouquet of festive pastel-colored flowers. And beginning today, 1800Flowers is celebrating the upcoming holiday early with 20% off Easter flowers with promo code ESTRBUNNY. 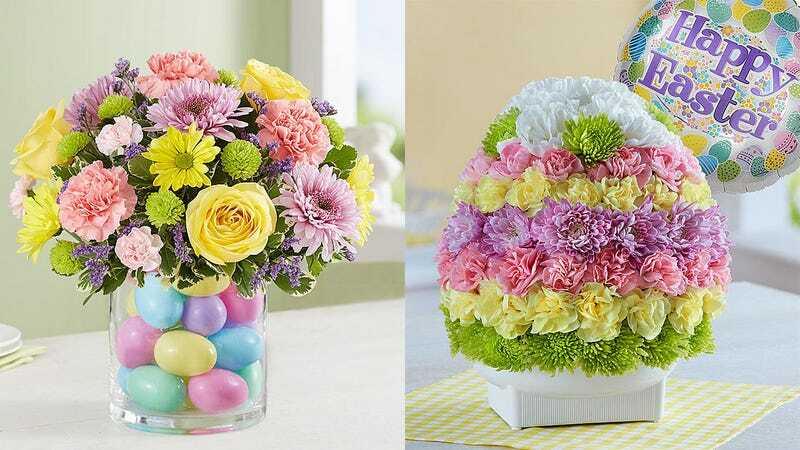 Bring home (or gift others) with colorful arrangements featuring plastic Easter eggs, an arrangement in the shape of an Easter egg, or even an Easter bunny comprised of carnations, plus a few baskets of sweet Easter treats. Just be sure to take advantage of this deal before it hops away.